Gerald L. Albert, 80, of Morrisdale died Sunday, Oct. 5, 2014 at Penn Highlands Clearfield. Born Oct. 31, 1933 in Philipsburg, he was a son of the late Lawrence and Ophra (Smeal) Albert. Mr. Albert was a 1952 graduate of the Morrisdale High School. He was a veteran of the U.S. Army. Mr. Albert was a dragline operator for several different mining companies. He was a member of Life-Stone Christian Church, Philipsburg. He was an avid hunter, fisherman and gardener. He was a member of the National Rifle Association and Big Knob Hunting Club in Clay County, W.Va.
On May 8, 1954 in Kylertown, he married Shirley M. (Wilkinson) Albert, who survives. Surviving are a daughter, Debra L. Albert of Spencer, W.Va., and two sons, Joel L. Albert and his wife, Patricia of West Decatur and G. Randy Albert and his wife, Victoria of Morrisdale. Also surviving are four grandchildren, Ryan Albert and his wife, Shannon, Eliza Albert, Cheyenne Albert and Wyatt Albert; a great-granddaughter, Margaret; two sisters, Edna Burge and her husband, James and Mary Hanslovan and her husband, Edward, both of Morrisdale; and a brother, John Albert and his wife, Bernice of Glass City, Philipsburg RD. In addition to his parents, Mr. Albert was preceded in death by two sisters, Jane Woods and Pauline Albert and a brother, Samuel Albert. A funeral service will be held at 10 a.m. Thursday at the David K. Dahlgren Funeral Home, Philipsburg, with the Rev. Bob Hine officiating. Burial will be at Kylertown Presbyterian Cemetery. Friends will be received from 6 p.m. – 8 p.m. Wednesday at the funeral home. Memorial contributions may be made to Life-Stone Christian Church, P.O. Box 263, Philipsburg, PA 16866. 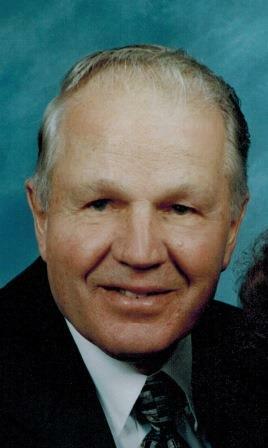 Obituary Notice: John H. Daub Sr.